Burton Hall. 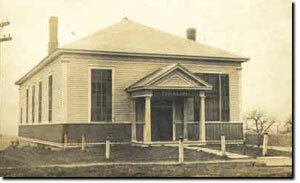 Home of the Easton Library from 1902 until the current building was completed in 1955. The Easton Library was established in 1879 as part of the Friends’ Seminary. On February 18, 1895, the library received its first charter from the University of the State of New York. With the closing of the Seminary, the library was housed in a number of local homes until May 8, 1902 when it moved into one room of Burton Hall. It remained there until the completion of the present building. The formal opening took place on September 10, 1955. Construction began in 1994 that would double the size of the existing structure. The new addition was dedicated on November 5, 1995. Easton Library functions under the Easton Library Association. It is governed by a board of seven trustees elected by this Association for a term of seven years. It is financially supported by the Town of Easton, the Greenwich Central School District, and the Library Extension Division of the University of the State of New York. The library also pursues special grants each year to assist in providing additional materials and programming. 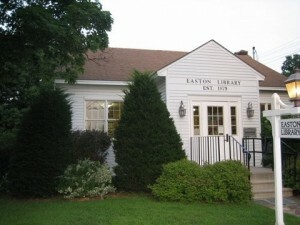 Easton Library is a member of the Southern Adirondack Library System. For 130 years Easton Library has been a center of information, community culture, recreation and lifelong learning.